“Fitness for the Rest of Us” Blog asks Dr. Kantor about healthy eating while traveling. Thank you Dr. Keith Kantor for taking the time to share your insights with us. What is your background in nutrition? 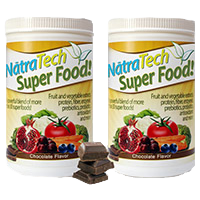 I have been an advocate of natural food and healthy living for 30 years. In 1994 he was appointed CEO of the largest all natural food company of its kind in the United States. I currently am the CEO and Founder of the NAMED Program, which frees people from addiction through nutrition. I have a PhD in Nutritional Science, a Doctorate in Naturopathic Medicine, and a Doctorate in Business Entrepreneurship. I also hold undergraduate degrees in Biology and Chemistry. What tips do you have for healthy travel snacking on the go? Planning is important; if you are on the go keeping a stash of healthy snacks that do not need to be refrigerated is important. 1-2 oz. servings of nuts, seeds, fruit, or nutrition bars such as Lara bars, RxBars, or Epic Bars are all simple options to have on hand. Having this ready to grab will reduce the likelihood that you will give into unhealthy junk foods. What kinds of snacks do you recommend for summer vacations? Fresh fruits topped with keifer and nuts or seeds, chopped vegetables with guacamole, or hummus, or homemade trail mix filled with nuts, seeds, dried fruit and no sugar added. What nutrition advice can you offer us for vacationing, or just busy on the go times in our lives? Try to still eat balanced meals that are not fried. Aim to have protein, healthy fats and vegetables at each meal. It is also important to hydrate properly. I recommend one half your body weight in ounces of water per day. 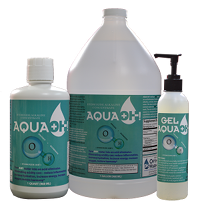 My favorite is alkaline hydroxide water (Aqua- OH!). This will help eliminate inflammation; ultra hydrates (forms more water than you drink) and helps keep the detoxification pathways open, which helps if you eat any junk food. Also sometimes we mistake thirst for hunger. It is easy to give into vacation treat foods like burger and fries but remind yourself of your goals and how good you feel when you consume healthy foods on a regular basis. That being said, enjoy a treat or a few on vacation just make sure you are still getting adequate servings of fruits/vegetables and healthy fats. What foods do you recommend we skip when vacationing? Avoid excessive fried foods, these will make you feel sluggish and could make all of your experiences not as much fun. Limit sugar intake, if you want a fruity cocktail drink, soda water with fresh fruit and liquor instead of processed sugar mixers.